Nations Press feature news VIRAL:LABOR OF LOVE-Pres. 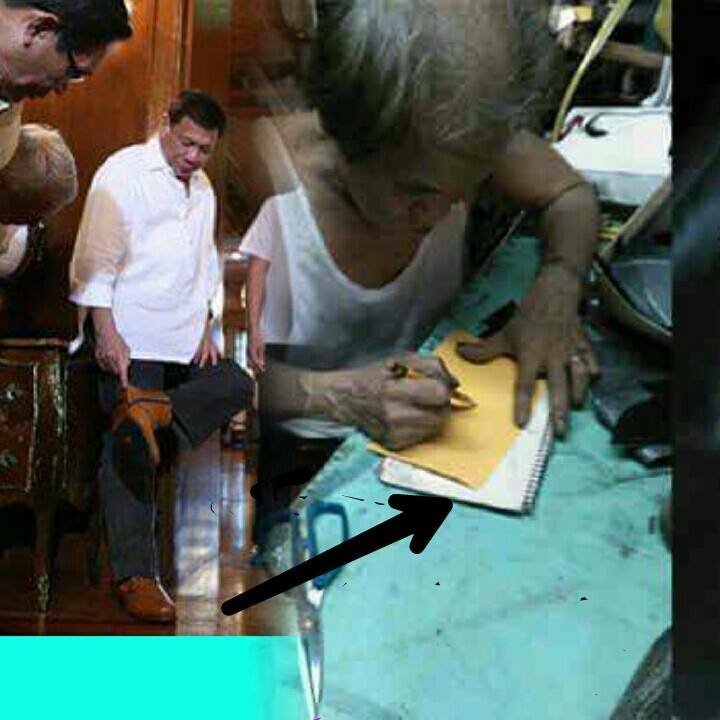 Duterte wears gift of 68 year-old Marikina Shoemaker! VIRAL:LABOR OF LOVE-Pres. Duterte wears gift of 68 year-old Marikina Shoemaker! SPONSORED LINKS Marikina is known as the Philippine shoe capital and is home to many talented and hardworking artisans. One of them is Rolando de Guzman Santos, a shoemaker who gifted President Rodrigo Duterte a pair of shoes, which the president proudly wore on his meeting with United States Secretary of State John Kerry on Wednesday. In an exclusive interview with Philstar.com last June 29, Boni Adaza of Chardin fashion house, which designs barongs for Duterte, shared the touching story behind the brogue-style boots. According to Adaza, Rosemarie, the daughter of Rolando sent the shoes to Chardin after learning that their design house would be tailoring one of the barongs for the president's inauguration. “Meron ngang nag-message sa akin. She's a daughter of a shoemaker from Marikina. She PM me through Facebook. Sabi niya sir, kabayan yung tawag niya, she was telling kung puwede ba daw ipadala niya yung gawa na sapatos ng tatay niya for President Duterte,” Adaza said. Rosemarie also took to Facebook to share the efforts of his father who has been working in the Philippine footwear industry for 54 years. "[G]agawin ko lahat ng mkakaya ko para matupad yung pangarap kong karangalan para sayo.. na isang araw maisusuot ng isang presidente ang sapatos na gnawa mo ng buong puso," the caption said. The shoes arrived on June 28, two days before the inauguration. Unfortunately, the president did not wear them because the caramel color of the shoes did not complement his black pants. The shoes also needed a stopper as they were slipping, Richard Pulatche, another designer of Chardin said. Rolando is just one of the many craftsmen in the Philippines who are appealing to the president to help restore the Marikina shoe industry to its former glory.